Family consists 2 adults & all children living at the one address. Proof of address may be required. 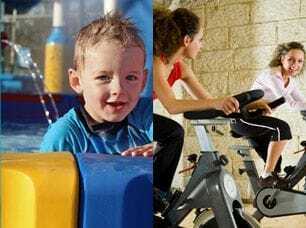 Gym Family consists 2 adults for a gym & Swim & all children a swim only. All Memberships exclude the use of the Wellness spa and sauna. Gym and Wellness users must be 16 years and over. Adult is anyone 16 years and over. Concession is 3 - 15 years old, 16-17 years with a valid student card or photo ID and anyone with a valid pension card. The complex accepts widowed, aged and disability pension cards. Carers accompanying a person with a 'Companion Card' are admitted free, one carer per card. MAAC has a policy of no refunds. Conditions apply for private swimming coaches, learn to swim teachers and professionals undertaking hydrotherapy. All groups must be pre-booked and pre-approved.